Select ... Sanford Sakura Kuretake Mitsubishi Pencil Co.
Woodcraft markers are very popular with chalkboard artists. The water based ink stays on chalkboards, whiteboards, glass and mirrors until removed with general purpose spray cleaner. 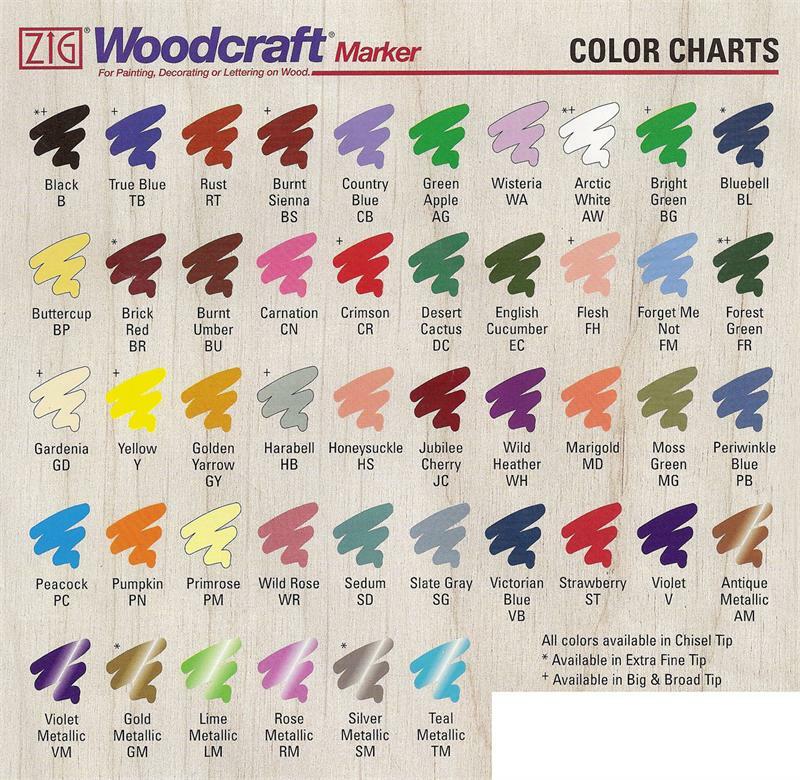 These Zig markers come in a wide array of colors. They are sold under several private labels across the US as Chalk Board markers. These water based paint markers have a high opacity, allowing over painting without bleed through. They include opaque, light fast, waterproof, odorless, Xylene free water-based pigment. Markers made by Kuretake in Japan and are highest quality. 42 vivid, opaque colors available in chisel tip, 33 available in Big and Broad tip and 6 available in extra fine tip.